Cast aluminum plaques with bronze finish, and audio “We walk the world two by two” is a series of four cast aluminum historic plaques that document on going two person exchanges along South Elm Street. The project memorializes small moments of personal history from the everyday lives of community members. The goal is to make public otherwise unseen and unremarkable events, highlighting them as an essential element of how we develop place over time. The project is the third chapter of Bass’s ongoing work, The Book of Everyday Instruction, which explores one-on-one social interaction. For “We walk the world two by two,” Bass interviewed subjects in pairs, allowing the relationship between the subjects, rather than between subject and interviewer, to guide the process of forming and historicizing lived truths along South Elm. 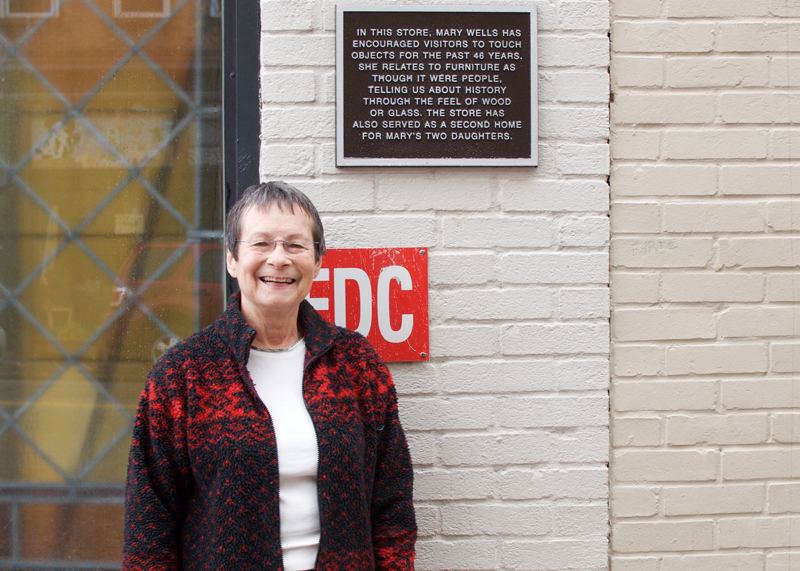 Two plaques have been installed at their story sites, and the remaining two will be installed by Spring 2016. This project was funded by ArtPlace America.